The internet has changed the face of the media – everyone can public on the internet what promotes abuse such like dissemination unverified or wrong information and also copyright infringement. Sometimes it is done with premeditation and at the other times it is due to ignorance. How to write and public to not violate someone’s rights? Currently the internet is our main source of information. That fact should not be a surprise – it is in both the fastest medium and the richest in different contents. At one time the freshest “news” could be found in morning newspaper whereas today new messages are published immediately after their disclosure or reaching. In addition by publishing in the web are taking care the specialists but also accidental private persons – anyone can start a blog, not to mention about profile on social networking site. When we see the publication which we like or evokes other emotions, we often feel the need of immediate pass it further. Sometimes we just link an interesting article, another time we copy only its part by adding our own interpretation. However not always we know how to do it to not violate the copyrights. There is nothing strange – it is quite sophisticated phenomenon in which it is easy to get lost. Let’s begin from explaining what are exactly copyrights. They encompass all the rights enjoyed by the author of concrete composition and first of all they focus on its possibility of deciding about in which way the composition may be used and also benefiting any financial benefits. The subject of copyright is each composition stated by the word, mathematical symbol, graphic symbol (literary, journalistic, scholarly, cartographic, software); artistic; photographic; lute; industrial design; architectural, architectural-urban, urban; musical, verbal-music; scenic, scenic and musical, choreographic, pantomimic or audiovisual). The copyrights do not include short press releases, self-evident press notes, obvious scientist theories, company’s signs used for informational purposes and office documentation. All regulations concerning that topic were included in Statute from 4 February 1994 year with copyright and related copyrights. It is worth to mark that there are no actions required to get copyrights – each of author automatically enjoyed it. With the moment of creation each of composition is being protected hence also those which were not finished. What functions have the copyrights? Above all they are a way on caring about receiving due to creators salary for the composition’s creation. Thanks to it we may suppose that they have bigger motivation to create more. Except that they contribute to decreasing the loss of companies who are promoting concrete works, compositions or products and also loss of the country concerning limitation of paying taxes. The author of the composition has rights to the authority of composition, disseminate it under chosen nickname and also checking how it is being managed. The copyrights determine the bond between the composition and its creator – important is that there is now way to dispose of it or resign. The other aspect is property right – the author can give it to someone else for example for work purposes. In that case the author can be not entitled to derive personal financial benefits from the sale of another copies of own composition. When the composition will be published in the internet, anyone of us have right to use gratuitous for his own use without any permission from the creator. It means that if the author for example disseminated his own text on blog, we can save it on our computer drive or print. We do not have rights to its further dissemination or reap financial benefits or selling. There are situations when dissemination of the compositions which do not belong to us in informative purposes is not punished. This right is granted for medias: press, television and radio. Some of websites also fulfill criteria “privileged” in that way subjects (what means they are included to the press) however their extracting sometimes is hard and debatable. Obviously this right is granted for informational portals or peculiar, internet equivalents of television informative channels, however the duplicated texts must to be actual. The reprint is publication on a portal the whole content, photo or considerable part of content in unchanged form. In the case of photography and pictures it is worth to remember that unchanged form means also details like the same size – just for that to leave graffiti without any changes. It should not also be forgotten to sign the compositions by last name and nickname of creator. 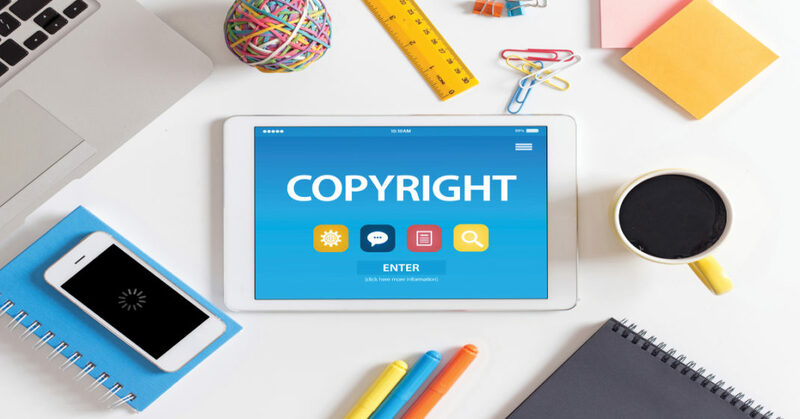 It is worth also to know that right for reprint does not mean automatically that the author of an original composition does not have rights to demand about financial benefits – cases in which the person has such possibility are described in each regulations of copyright.